From Wall Street “corporate” to Seattle “high-tech cool” the definition of a uniform has shifted to include individuality and personality. Apparel is the highest category of spend in the promotional products business. Wearing your brand and transforming it into a mobile billboard is a strategic marketing decision that can be both practical and fun! 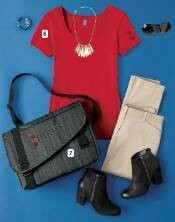 Our goal is to assist you in outfitting your team in styles that will make a Lasting Impression. The new Business Uniforming catalog illustrates how to create a unified office experience while allowing employees to personalize their styles by choosing from a menu of coordinated options. 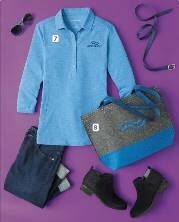 Samples from the Business Uniforming tool, showcasing how to mix and match fabrics, colors and styles to reflect your company’s corporate culture. 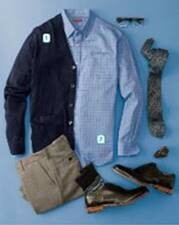 To view curated Corporate, Casual & Cool styles, shop our digital Business Uniforming Catalog. Once you have identified the styles you love, shop our apparel website for product and pricing specifications. We hope you are excited about the creative, yet practical solutions Lasting Impressions can bring to your organization. We look forward to your feedback and the opportunity to design branded apparel to delight employees, differentiate you from your competition and mobilize your brand.